View More In Percolators - Page 4. 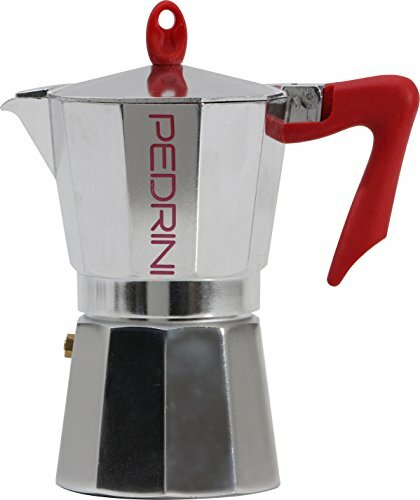 Pedrini 9 Cup Coffee/Espresso Pot. This pretty little pot made of polished aluminum if perfect for a cup of coffee and also espresso. Easy to use and easy care. If you have any questions about this product by Pedrini, contact us by completing and submitting the form below. If you are looking for a specif part number, please include it with your message.